ouble bill of French films based on the autobiographical novels by Marcel Pagnol, author of classics Jean de Florette and Manon des Sources. 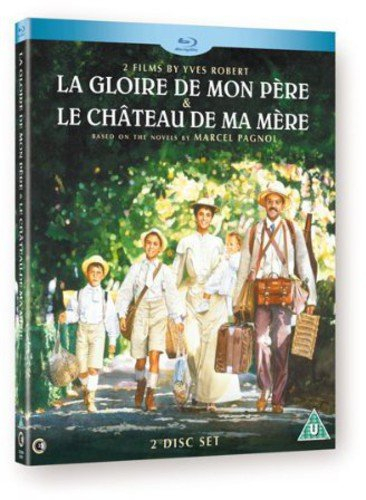 La Gloire De Mon Père (1990) is set in the early years of the 20th century and follows the young Marcel (Julien Ciamaca) during a summer vacation in Provence. Here he strikes up a friendship with a boy, Lili (Joris Molinas), and finds himself caught in the middle of the conflict between his father (Philippe Caubère) and uncle (Didier Pain). Le Chateau de Ma Mère (1990) follows Marcel as he returns to Provence for the Christmas holidays. This time he meets an eccentric girl, Isabelle (Julie Timmerman), and accepts a key that will allow him and his family to reach their holiday home quicker by unlocking gates alongside the canal. However, this essentially amounts to trespassing and threatens to land the family in hot water.